Y Camps are summer camps for vulnerable children and young people aged 6 to 18 years. 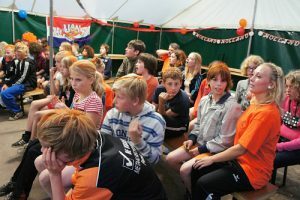 The children’s camps and youth camps take place in the Netherlands. At these summer camps, 1 supervisor will be available for every 4 participants, so there will not only be time for joint activities, but every child also gets the attention he/she deserves so everyone will have a fantastic holiday. The Y Camps are also available for less financial well off participants. A relaxing holiday at Y Camps is also an ideal place for single parents who wish to spend their holidays with their children.